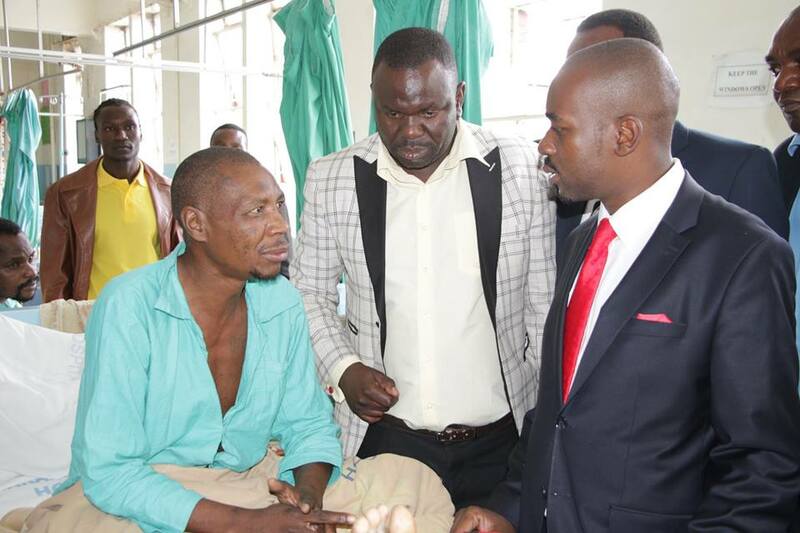 President Nelson Chamisa today visited stranded patients at Harare hospital following a strike by doctors and senior medical personnel that has crippled the country’s health services sector. After the tour, President Chamisa immediately called on the government to look into the very reasonable demands by the country’s doctors, whom he said were earning far much lower than their peers in the region and on the continent. The doctors are striking over low salaries, on-call allowances, poor working conditions and lack of essential drugs, among other reasons. President Chamisa toured various wards at the hospital speaking to patients before calling on the hospital’s chief executive to appreciate the enormity of the crisis at one of the country’s major national health referral centres. The chief executive told President Chamisa that the outpatients department had been seriously affected by the work stoppage by doctors. Addressing journalists outside the hospital’s maternity wing at the hospital, President Chamisa urged the government to urgently look into the genuine grievances by the country’s doctors. He said President Mnangagwa cannot continue with his mantra that the country was open for business when it is not open for health. He said the country’s medical staff worked under very difficult conditions and the government had to prioritize the health of citizens. He said doctors and medical personnel in countries like South Africa and Rwanda earned far much more and enjoyed better working conditions than the health workers in Zimbabwe. He pledged that his incoming government would take seriously its responsibility particularly in the social sectors such as health and education. President Chamisa said the party would do all it can to ensure that the next elections are free and fair to enable a new government to attend to the myriad challenges facing the people. He was accompanied by the party’s Health Secretary Dr Ruth Labode, Secretary for Elections Hon. Murisi Zwizwai, the MDC Harare Province Chairperson Hon. Eric Murai, National Youth chairperson Happymore Chidziva, Deputy Treasurer General Mr. Charlton Hwende, several MPs and other senior officials in the party.